All My Love Crafts: Coffee and Love are Best When They're Hot! 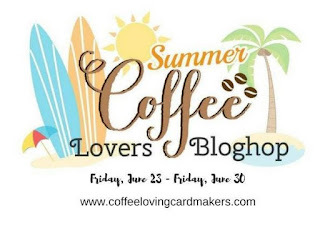 Day 3 of my favorite blog hop! This sentiment is from a stamp set by The Ton stamps. The cute patterned paper is from Craft Smith's "Sweet Soiree" paper pad found at Michael's. The coffee mug, heart and steam are from Newton Loves Coffee stamp set. 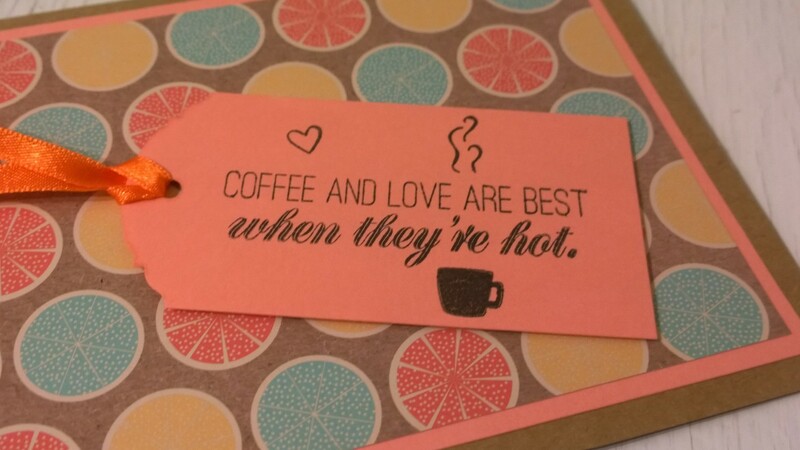 View more caffeinated inspiration here! This card is number 393 in the hop. Such a fun summertime card! Love the great colors you used! Very pretty colors of summer! What a fun citrus colored themed card! 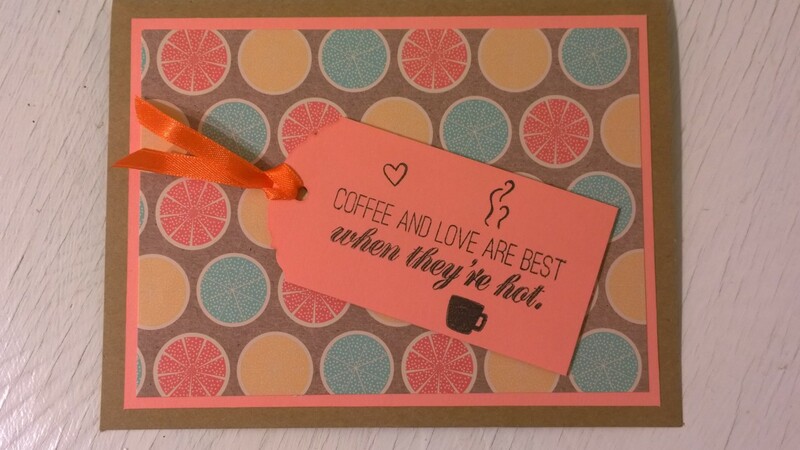 Very daring sentiment, love your summery card design! 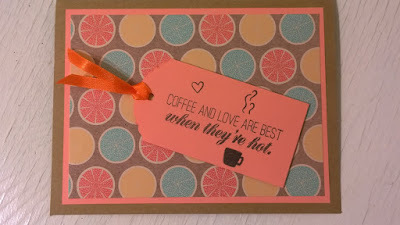 Perfect sentiment and one lovely tag card! Great card design and I love the sentiment.